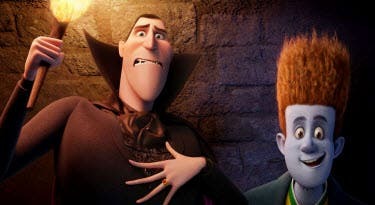 An aspect of the making of Sony Pictures Animation's new family comedy “Hotel Transylvania” that set it apart was the chance to bring several of the actors together into the recording studio to voice their roles together – responding to each other as they would in a live-action film. 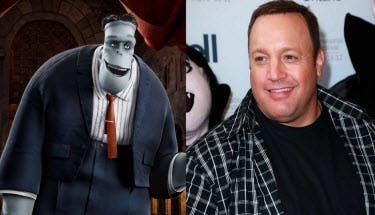 Kevin James voices the role of Dracula’s best friend Frankenstein—an oversized working man with an even bigger heart. It’s been a long time since this monster stormed through the countryside, frightening villagers and constables alike. Now, he’s an unassuming married man who loves his adoptive family, Dracula (Sandler) and Mavis (Selena Gomez). 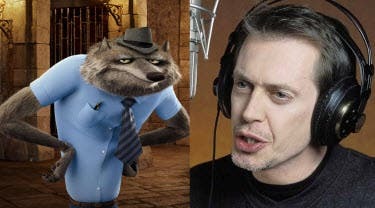 Steve Buscemi lends his voice to Wayne the werewolf, a miserable data processor by day and a put-upon father by night. He and his wife Wanda have produced litter after litter of pups, and as a result, he barely has the energy to get through a day and has lost most of his sense of smell from a barrage of poopie diapers. So even though he arrives with his misbehaved children and pregnant wife in tow, Wayne can’t wait for his vacation at Hotel Transylvania to begin. The infamous Invisible Man has a name, and it’s Griffin. He’s good at lurking, and because no one can see him, he has a frustrating habit of blindsiding his friends. He’s always ready with a funny quip… but while he can dish it out, he can’t take it – he’s really sensitive, especially about his curly red hair. “Griffin loves going on vacation. He’s extremely handsome and has a killer body. 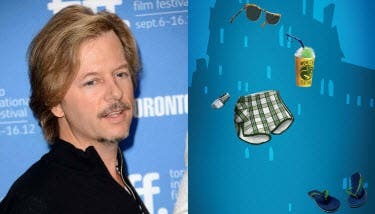 At least, that’s what he tells me, and I’m not gonna disagree,” says Spade. 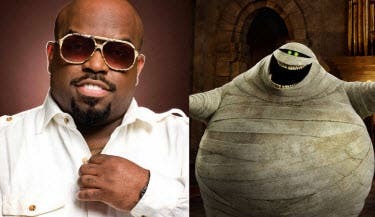 Recording artist CeeLo Green voices Murray the Mummy, a big bandaged guy, who’s actually larger-than-life. As a former entertainer to the great Pharaohs of Egypt, Murray is extremely likable, boisterous and always the center of every party. Living most of the year deep inside an Egyptian tomb, every time he arrives at Drac’s hotel, he is ready to PARTY! He’s a ball of fun, and uses humor to avoid confrontations, which he stays away from at all costs. 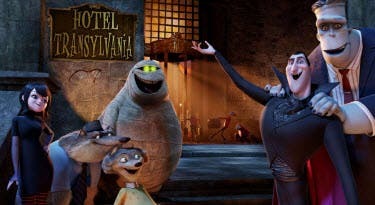 Opening across the Philippines on Friday, Sept. 28 in Digital 3D and regular theaters, “Hotel Transylvania” is distributed by Columbia Pictures, local office of Sony Pictures Releasing International. ‘Hotel Transylvania’ Checks In Soon!